I wondered if Giroud was going for more of a middle ground with the male/female redemption question. 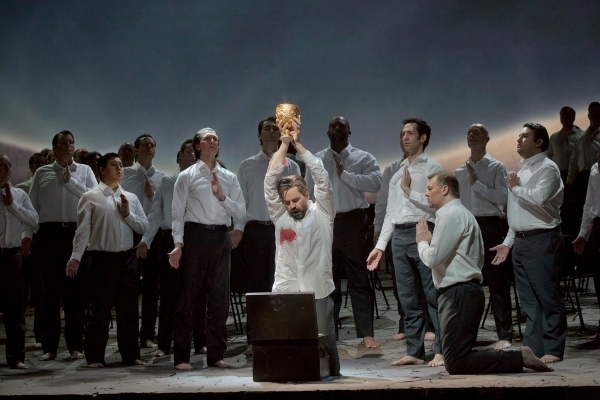 It seemed to me – and I might be totally, embarrassingly wrong about this – that he was extending the Ring, saying that it needs Kundry and Parsifal to be redeemed so that they could both redeem the Grail. 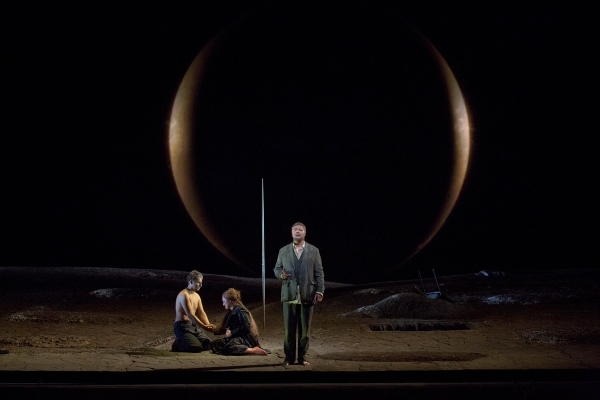 Neither the separation of act one (veils) or the outright lust of act two (Klingsor's ladies and the early Kundry, which Amfortas knows all about) can work, so it needs the Mitleid of love (chaste, in the case of Kundry and Parsifal). 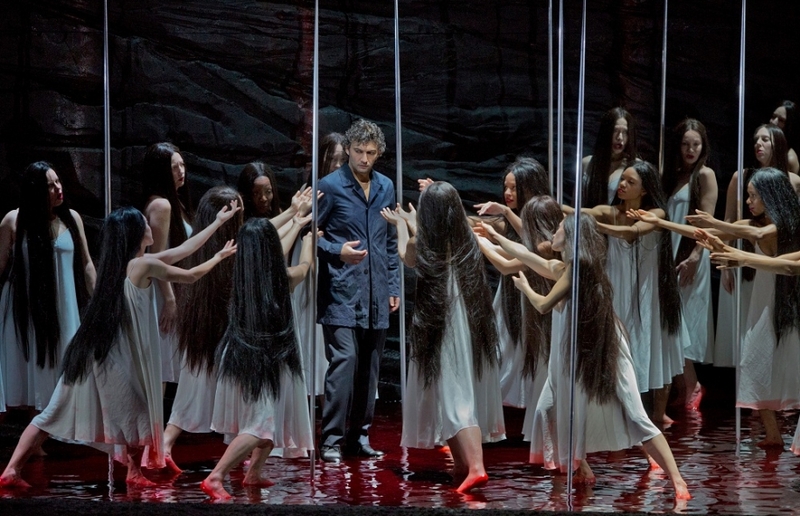 That would explain why Kundry brings in the Grail, and why Parsifal is all tender after she dies/transfigures. It would also explain those tender finger-kisses that the knights use to spread the Grail's magic around in act one, a gesture I *think* Parsifal uses to dispel Klingsor, and also someway towards explaining what that idyllically benign skin constitutes the Grail world. But obviously if any of that is remotely true, there are still big holes in it, and I might be talking complete nonsense. 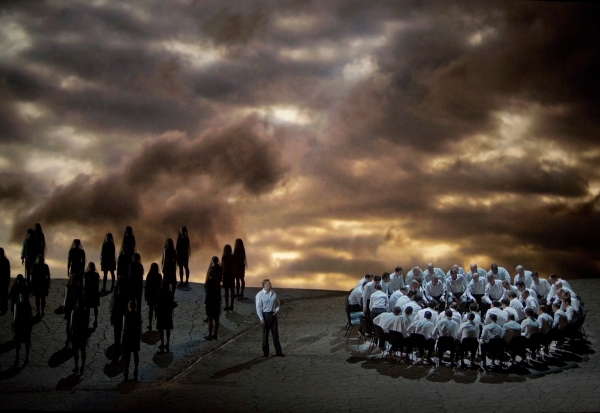 Hey, at least this is a new Met Wagner production that makes you think! She has labored hard and very long to bring forth … a pretty damn nice review! That is certainly a very imaginative interpretation of some of the Act 2 imagery and I also found the spear "catch" (???) somewhat odd and anti-clamactic. Generally I wasn't entirely clear about the meaning of some of the symbolism and am glad I wasn't the only one that missed something. I came in somewhat weary of Gatti but was mostly just grateful that the orchestra was indeed superb (as good or better than I've heard it in years – I might have tweeted something about that) and was appreciative of this more than I was bothered by any interpretive idiosyncrasies. Pape's singing made the pace of Gurnemanz's part anything but a problem and his interpretation (given the nature of the material) was I think at the same level as those of Kaufmann and Mattei. He also was in particularly good voice. Anyway, going back so I'll see if I can extract anything else from this thing. (Am contemplating but a bit dubious about seeing a Rigoletto after your review). Hmmm, not bad, DJA, that makes some sense to me, though I didn't think of the Ring at all. I do have trouble with the slippage between love and Mitleid, though. Balance is, of course, not a Wagner specialty, and when your only portrayal of women is of them as evil… well, you need to do something else to convince me that they're what the knights are missing out on and that Mitleid actually has something to do with harmonious relations between the sexes. Because Wagner isn't doing that for you. More generally, I meant to say above that this is the kind of fragmentary interpretation that is often described as open-ended–it can mean many different things–but IMO this one went too far in the open-ended direction, not giving us enough to chew on or enough guidance. Thanks, Marcillac! Agree about the spear being a little anticlimactic, you want some, er, magic at that moment. It's another thing I wanted to write above but then I saw that what I had written was so damn long. P.S. to DJA, by "you" I meant Girard, and I absolutely agree about your penultimate point. If you mean the projections of the planets I was guessing it was going for an astrological kind of outer space as the final frontier of the psyche thing. 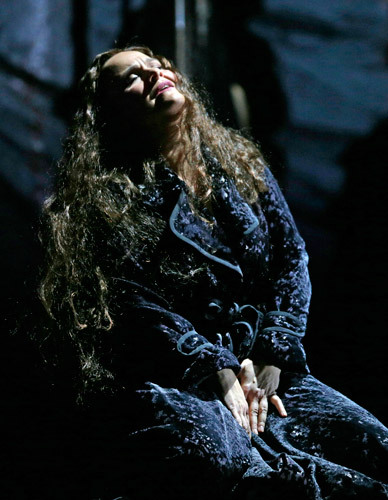 Absolutely there's trouble with love and Mitleid (especially if, as the Met is wont to do, you translate that as 'pity') – that was part of the problem! I guess I was reading back from Kundry carrying the Grail in, which you could just as easily read as her serving Parsifal ("dienen", etc.) and the women taking off their veils to serve the knights, rather than anything more harmonious. But it didn't seem to me like that was what Girard – not Giroud as I typoed earlier, who is someone else entirely – was going for. I saw the key gesture as the women interspersing themselves with the men (and Kundry bringing the grail because she is impatient to finally die). Which begs the question, if they're allowed to hang out with the knights now, what else is going to be allowed? It's a slippery slope, you know. I sort of started ignoring the projections. They're loads classier than the Ring ones, but I could take them or leave them. Anyway, making a binary into a dialectic is hard. 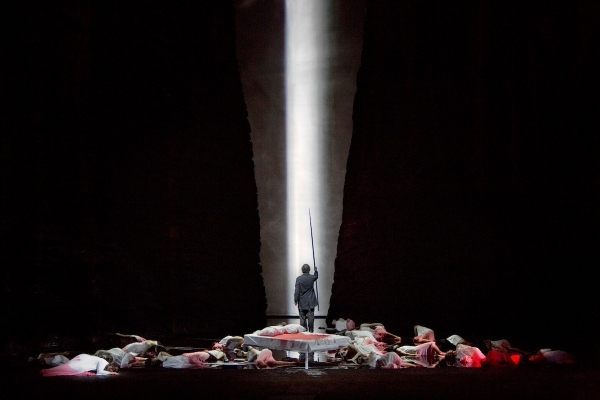 Thank you so much for this review…I really want to shoot myself (and someone else) for missing this Parsifal yesterday! I know this is mostly a PG-13 (?) 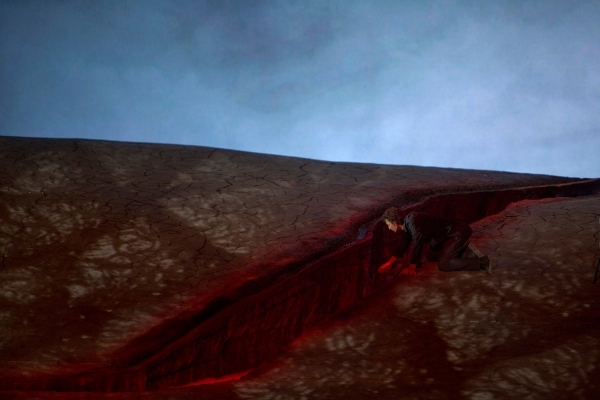 rated blog and all but the this whole Spear in Grail thing….Slippery slope indeed! 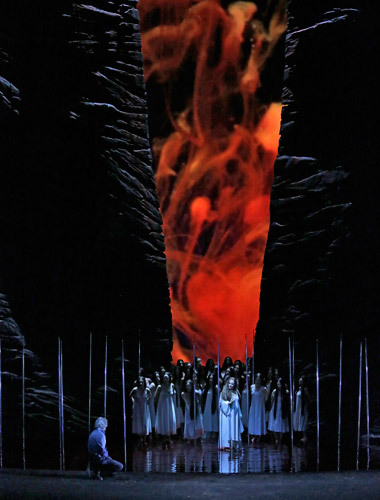 Without slipping down that particular slope we would probably have had to do without Lohengrin so there is that. Also, now that I look at I'm not sure the qualification "one of the best that could be assembled today" for the cast is really necessary. For me at least its impossible to think of anyone who could match the male leads vocally, and very difficult to identify anyone who could surpass them dramatically. Dalayman had her issues, as you note, but she was more than adequate and its hard to think of anyone today who would be significantly better either as a singer or actor (Herlitzius? Denoke? probably not by much) or could match the level of the man. 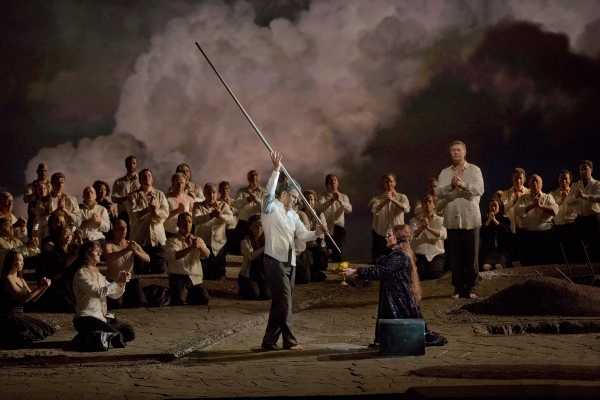 Even Meier, an incomparable actress and and a very skilled and talented Wagner singer could probably not measure up to the vocal refulgence on offer here. So it seems that we could pretty much call this cast The best that could be put together today pretty much sans caveats. 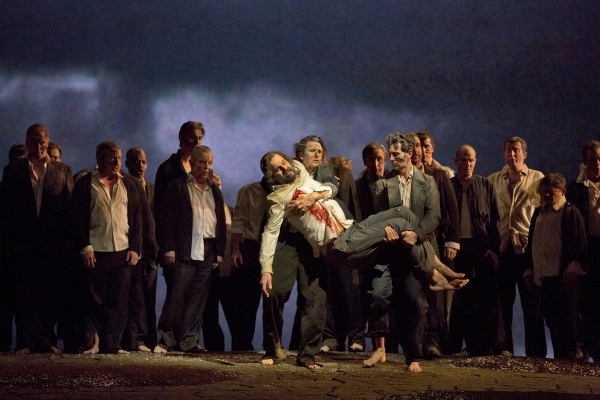 Further, this is also (to my knowledge) the first time that Kaufmann, Mattei and Pape have sung together (although combinations of 2 of the 3 have been around) and we don't know how often we'll get to see them together in their absolute prime and for this reason alone this Parsifal would seem an absolute must see/hear. (Surely someone, someday very soon will put together a Don Carlos with the 3 of them, Harteros and Garanca!!). Thank you very much, Zerbinetta, for a deep and thought-provoking review. Now I'm even more eagerly awaiting to see this, even if only on screen. Well, Marcillac, that is one other effect of having Kundry hold the Grail, and I DID think that too. All this about the holy spear, good lord (possibly a poor choice of words). 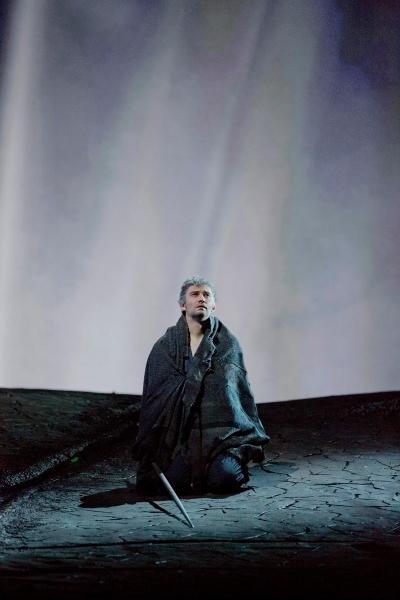 I think that's my biggest problem with the production–the plot is clear that chastity is a principal credential for redemption, but the production suggests that after the curtain is down everything is headed a different way very soon, so what kind of Erlösung was this, then? This is where the production could have been far bolder about its interpretation. I would go to that Don Carlos, also (preferably with an "s"). I said "one of the best" casts because of a strong allegiance to Frau Meier–at least in 2011 her Kundry was still very much a force to be reckoned with. I am always tentative about making absolute statements, there's that too. Well, I had already used "Knights of the Living Dead," and I decided to keep "Big Knight" in reserve for a future Johan Botha Parsifal. Could someone who saw both the opening night production and the hd broadcast comment on the quality of "Kundry"'s singing? I thought she was quite marvelous throughout in the broadcast. Thank you Zerbinetta for a fine review. I only saw the HD and I loved it and felt the production is decidedly a feminist one; however, explaining the second act IS difficult. I re-read OperaCake's take on the Lyon production and he strongly felt that the women represented nature, I think because all of the images looked abstract enough to represent women and their bodily functions as well as natural scapes. 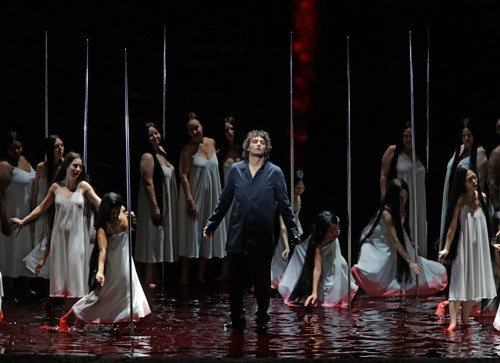 Also when the bed became soaked with blood during Parsifal's big moment of recognition, it was almost as if….I will go down the slippery slope…he was menstruating. Perhaps the HD shots should not have been so up close. Again thanks for writing the best review I have read. 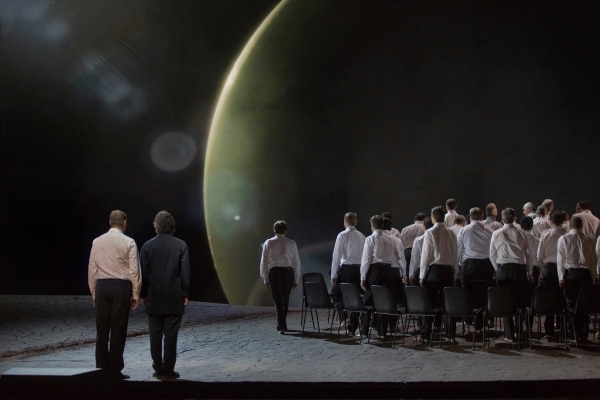 I think it's great that this production has stimulated so much discussion. As much as I love Opera Cake, he tends to think there's only one correct interpretation for any given image. There might only be one intention but as you can see here we all saw different things in this and who is to say who is correct? Granted, some ideas and some interpretations are just dumb, but in work like this there are lots of directions you can take. 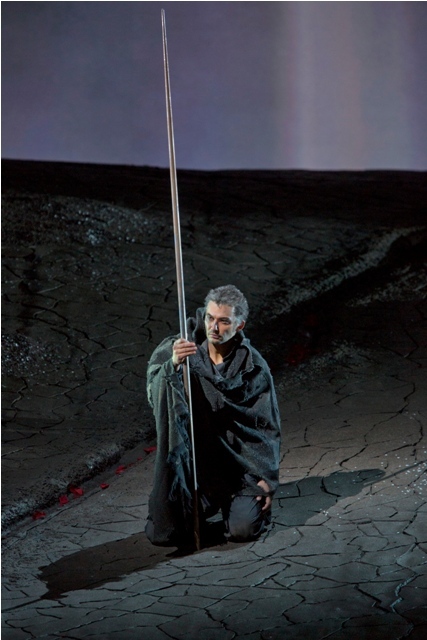 If we're talking about the opera's misogyny (and stagings that seek to alter it), does Kundry have to die at the end? This production has a better idea (http://www.ft.com/cms/s/2/fd38c776-2ffe-11e3-9eec-00144feab7de.html).